As we all know, the most important festival for Chinese people—Chinese New Year is coming soon. For some guys, it could be the first time to experience this special festival in China. You must be curious and excited. Please bring your curiosity and good mood to join me and celebrate together. 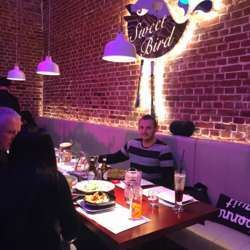 InterNations Dalian Chinese New Year celebration party will be held at Sweet Bird Restaurant located in Youhao Square, which is known as the most popular western restaurant in Zhongshan district. 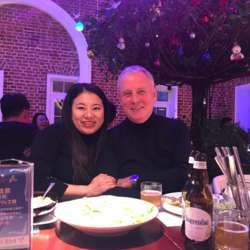 Food, drinks and environment are all very good. Basically it will be closed at 22:00. But the restaurant will extend its opening time to 22:30 for us. Main course and cocktails wouldn’t be served after 21:40. But beer and some soft drinks will always be served. You can get there by metro line 2( Youhao Square station, Exit C1) or bus ( No. 23, 16, 531, 901, Youhao Square stop). Look around, you will see a huge football, then try to find a dumpling restaurant(喜家德水饺). 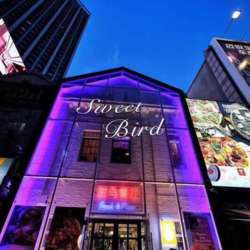 Next door is Sweet Bird. Very easy to find it. Pls feel free to contact with me by wechat (Ama20140215) or sending me messages directly if you have any questions about this event or venue. You are all welcome to the party. 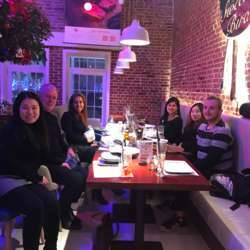 It’s really a great opportunity to make some new friends and catch up with old friends. The past every event gave me surprises. I’m sure this event too.